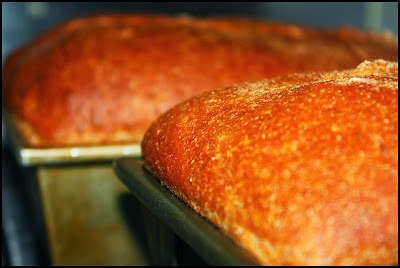 This is yet another variation of my 100% whole wheat bread recipe...and a delicious one at that. 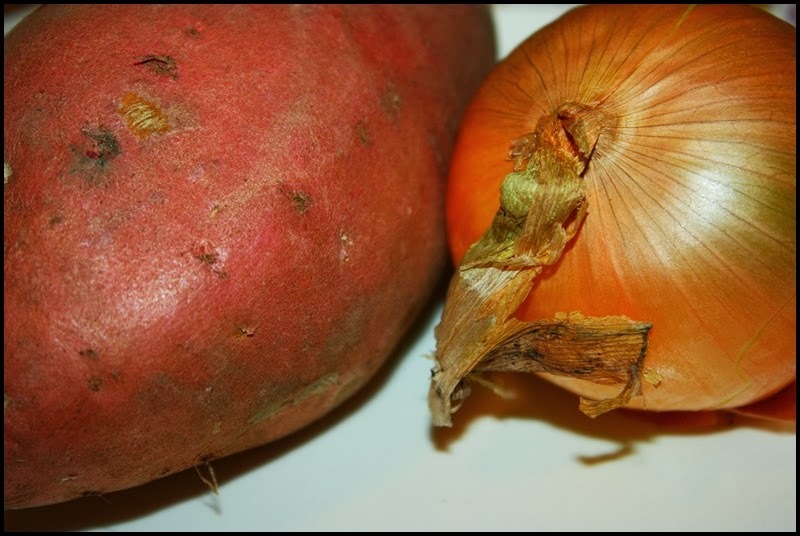 This does entail an extra step (sauteing the onion and sweet potato until caramelized) but it's worth it. After cooled, they are added to the dough while being kneaded and they melt into the dough offering a soft texture and subtle flavor. Anyhow, the recipe is below. 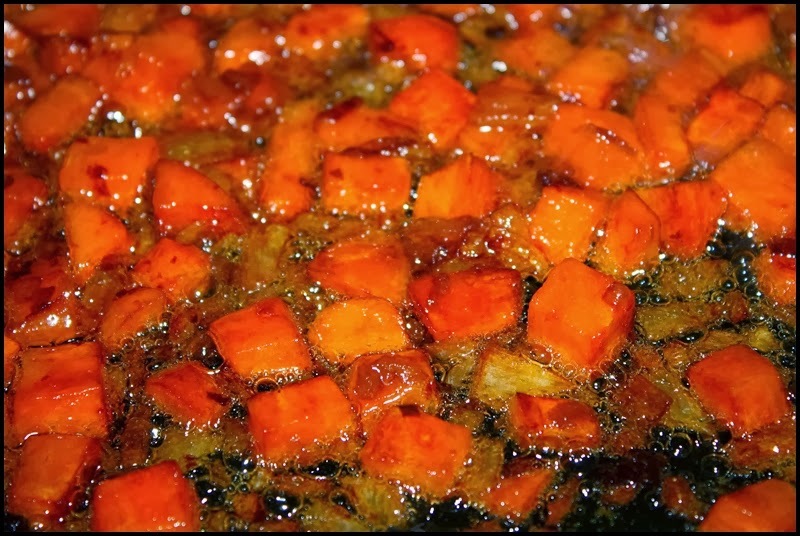 Heat the olive oil over medium-high heat in a heavy skillet then add the diced onion and sweet potato. 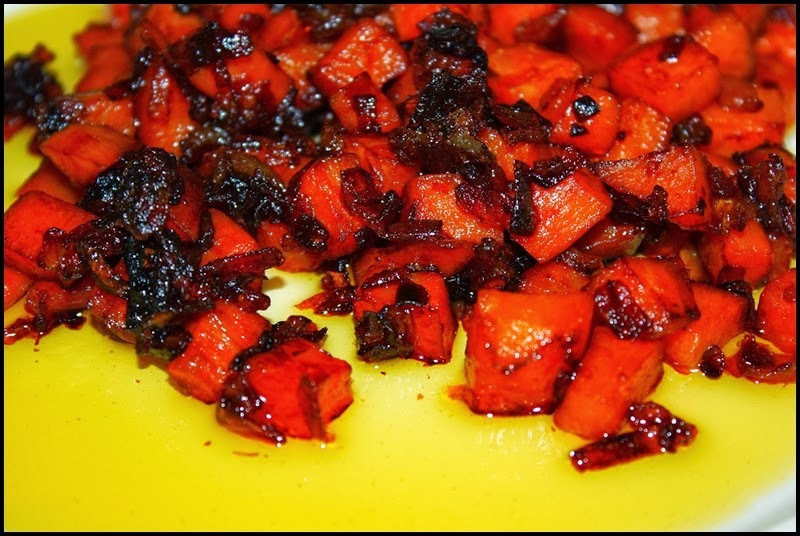 Sauté for five or ten minutes, or until caramelized. Add ½ cup of the water to the pan. 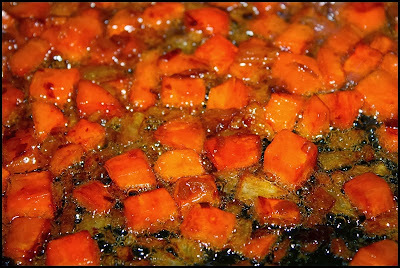 Simmer until the water evaporates completely and the sweet potato is very soft. Transfer to a plate to cool, using a spatula to include the olive oil as well (as this becomes part of the bread). Separate some of the remaining ingredients in two bowls using this ratio: In one bowl combine 4 cups of flour, the vital wheat gluten, and 2 cups of water. Stir it just until combined; cover with plastic wrap and set aside. In a second bowl, combine the remaining 2 cups flour and 1 cup water and 2 teaspoons of yeast. Stir it just until combined; cover with plastic wrap and set aside. Allow the bowls to rest for at least an hour. After the ingredients have rested and have begun to ferment, combine the contents of both bowls to an upright mixer that is fitted with a dough hook. Add the caramelized onions and sweet potato along with the oil in which they were cooked. Also add the remaining ingredients: the salt, honey, and remaining two teaspoons yeast. Knead the dough on medium speed for about 8 minutes, then cover with plastic wrap and allow to rise for one hour. Transfer the dough to a work surface, cut it into two pieces, gently shape it into loaves, and place them either on a baking sheet or in loaf pans. Cover with plastic wrap and allow to rise for 45 minutes. Preheat an oven to 425F/218C. If making free-form loaves, slash them with a razor just before they go into the oven. Bake the bread for about 30 minutes, or until golden brown and sounds hollow when tapped on. 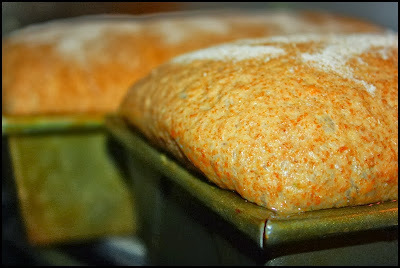 As the bread bakes rotate the loaves in the oven once or twice to ensure even baking. Remove the bread from their pans and allow to cool for 10 minutes before slicing.